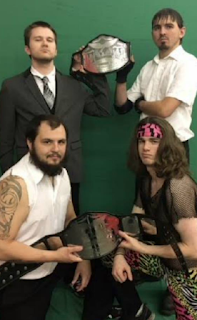 Stride Pro Wrestling returns Saturday night to John A. Logan College. Several great matches have been announced, including a six-man tag team match featuring some pretty super individuals. 'The Man of Tomorrow' Daniel Eads makes his return to Stride. He'll be teaming up with Chris Hargas, who is a huge Superman fan. 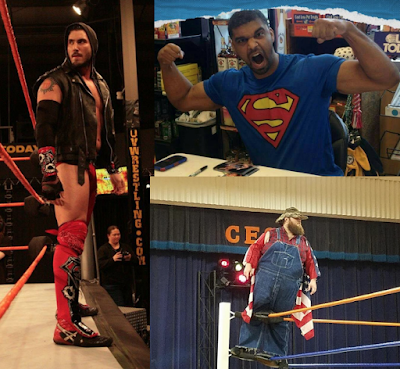 They'll hit the ring with Farmer Billy Hills who is a super competitor here in Stride Pro Wrestling. This newly formed trio takes on members of the DR Party. At press time, it's expected that Dexter Roswell will lead Brian Richards and Scott Phoenix into this match. They, of course, will be seconded to the ring by J. Wellington Bereaugard. I enjoy all six men announced for this match. It'll be interesting to see how Eads works with Farmer and Hargas. Those two have teamed before and opposed each other inside a Stride ring. But with the underhanded tactics the DR Party has displayed in the past, Hargas, Farmer and Eads must all be on the same page during this match. Bell time is 6:30 p.m. at John A. Logan College. Tickets are $10 for adults and $5 for kids. Be a part of Stride Pro Wrestling and come cheer for your favorites.